A reference letter is a letter from a trusted source, attesting to your worthiness for a specific job. The author of your reference letter should read the job ad you're applying for and describe your relevant work experience, skills, achievements, personal qualities, and/or academic performance. Reference letters are also called letters of recommendation. How to ask for a reference letter? Pick a person with a lot of clout who knows a lot about you. Then, share the job description with them. Show them the sample letter of reference in this guide to help them do it right. Want to write a letter of reference for someone? Read on! Meet Stu, the hiring manager. Stu just opened your reference letter. Three seconds later, he closed it again and clicked delete. A dozen rookie moves can sink a well-intentioned recommendation. Your letter of reference can't just say, "Jane's great. Please hire her." It must do so much more. But once you know the simple rules, the world's your oyster. How to write a reference letter for jobs or internships. What to put in a recommendation letter so it works like a Swiss watch. The perfect letter of reference example to land the interview. How to ask for a letter of recommendation. Here's a sample reference letter made with our fast online business letter tool. Want to write your letter in 15 minutes? Use our templates and build your version here. 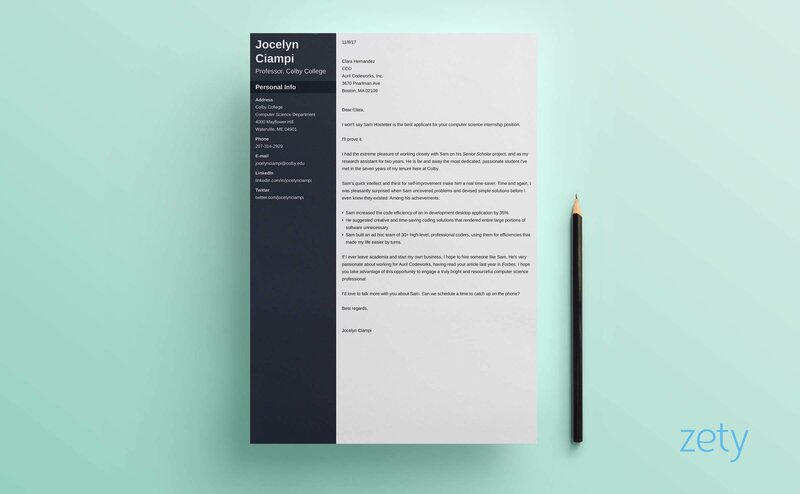 That reference letter template works because it's personal, passionate, and detailed. Someone hands you a big bag of those alphabet refrigerator magnets, then walks. That's how a poorly-formatted letter of professional reference feels. The best letter of reference format does one thing. It puts the right elements in order to lock in the interview. Bingo. There's your simple recommendation letter template. Follow it, and your applicant is on the way to gainful employment. If you use the above reference letter template in MS Word, add 1 inch margins. Also use single spacing and a clear font like Arial or Cambria. Next, I'll show you how to work each of those references letter elements to make it shine. Pro Tip: Don't know the applicant well enough to comment? Consider saying, "I don't think I'm the best person to write your recommendation letter." A letter of reference for a job needs a resume. Want to make one fast? Use our online builder: Resume Builder: Create a Professional Resume in 5 Minutes! Let's sneak up behind the hiring manager. She's behind on seven deadlines. She's got 387 unread emails. She just used her tablet pen to stir her moccachino. Now she gets a resume, a cover letter, and three letters of reference. Glance, glance, glance, and into the pile of despair it goes. Make her stop and read your letter. That's not awful, but it's a grey suit in a crowd of others, all alike. How do you begin a letter of reference so it cracks the manager's attention like a whip? I won't say Sam Hostetter is the best applicant for your project manager position. That sample reference letter opening stops the bustle and drowns out the ringing phone. Can't say something quite that glowing? How you feel in general about the applicant's qualities. A stunning fact about the applicant. An award the candidate won. Pro Tip: Is someone writing a reference letter for you? Don't forget to send a thank you letter in return. They'll remember the gesture, and that's networking 101. Let's assume you've written a great hook. You've got to keep that interest rolling. Of course the next step is to say how you know the applicant. But do it wrong, and the manager's busy life will kidnap her again. The best reference letters combine "how you know" with "why she's great." They also add details. Steven is a student of mine. That gets the job done, and it's short. But it's as generic as a box of supermarket cornflakes. I had the extreme pleasure of working closely with Sam on his Senior Scholar project, and as my research assistant for two years. He is far and away the most dedicated, passionate student I've met in the seven years of my tenure here at Colby. That shows how to write a reference letter for a student that works like an electromagnet. It's detailed and intensifies the interest. Share details about how you know the applicant. Add a fact that shows why you think highly of him. Pro Tip: Don't have time to fit your letter of reference to the job offer? Ask to see the applicant's resume. It should be chock-full of tailored achievements and skills. You get the nagging feeling nobody will read your letter of professional reference. Generic references letters get a glance, if that. You know how to write a reference letter that gets read once you add the right details. So, ask to read the job description. Then lock your letter of reference to it like something from Escape from Alcatraz. Steven would make a good fit for your position. He's a hard worker, conscientious, bright, and very punctual. Steven sounds okay, doesn't he? But this position likely has 300+ applicants all bumping elbows. They won't hire "okay." Sam increased the code efficiency of an in-development application by 35%. He suggested creative, time-saving coding solutions that rendered entire large portions of software unnecessary. Sam built an ad hoc team of 30+ professional coders, using them for efficiencies that made my life easier by turns. If I ever leave academia and start my own business, I hope to hire someone like Sam. He's passionate about working for Auril Codeworks, having read your article last year in Forbes. 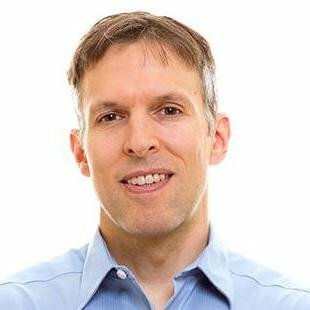 I hope you take advantage of this opportunity to engage a truly bright and resourceful computer science professional. Now that's how to write a reference letter for a student that lands the interview. Name specific ways the applicant has helped you. Match the achievements in your letter to requirements in the job offer. Include a detail about why the applicant is passionate about the job. Pro Tip: Your letter of recommendation's middle can be one paragraph or three. It can include bullet points or a table. The format isn't as important as the right details. Bad news: Your applicant didn't get the job. Now she's crying to her Facebook friends about how hopeless everything seems. If you'd known how to write a letter of reference ending, she'd be set. To seal the deal, end your letter with a request. That's polite, right? Inoffensive. So is an antique Edsel with the engine taken out. But neither one will get you to the beach. I'd love to talk more with you about Sam. Can we schedule a time to catch up on the phone? Can you see how that would boost the chances of an interview? First, it shows you respect the applicant enough to share your time. That's guaranteed to shake and wake the hiring manager. Next, it creates an opportunity to take the conversation further. Don't feel comfortable offering to talk? You probably won't have to. The offer alone pumps up your letter's stock price. Pro Tip: Not sure how to address a references letter? Use "Dear" and a first name, or "Mr." or "Ms." and a last name. "Ms." works regardless of marital status. If you know how to write a letter of reference for a job, you also know how to write a character reference letter. How you know the applicant. How she's helped you (or others). Use the sample character reference letter template below. This personal reference works as a character reference letter for court, for a friend, or for immigration or landlord use. That's the bare bones of how to write a personal reference letter. In Part 1, be as specific as possible. The more interaction you can cite, the more powerful the reference. In Part 2, list positive qualities and specific ways the person has shown character. Honesty, a strong work ethic, and competence are all in-bounds. Part 3 can be as simple as, "I give Tim my highest possible recommendation for character, work ethic, and dependability." Looking for a job, an internship, or other position? You'll do better with the tailored reference letter for employment at the top. Pro Tip: Writing a character reference letter for a friend? Include your title if it ups your credibility (i.e. Officer, Doctor, Judge, Town Selectman). Give details for how you know the applicant. The closer you've worked with her, the stronger your reference letter. Paint the picture of why you recommend the candidate. Measurable achievements make a letter of reference sparkle. Offer to talk more with the addressee. Chances are you won't have to, but an offer puts the icing on the reference letter cake. Want to know more about how to make a letter of reference? Maybe you have a perfect recommendation letter template? Give us a shout in the comments! We love to help!